Looking back at 2010, I think it was a really good year for me. The biggest thing, of course, being that I have spend another year away from a 9-17 desk job and instead lived the life I want. That, I appreciate every day, and keeping this going is the most important thing to me. From a sports perspective, I got my brown belt a year ago now from Robson Barbosa, who I find to be a very inspirational, charismatic and enthusiastic athlete. In many ways, it was a very big motivator for me. Like most other people training BJJ, I wanna tell myself, that I don't care too much about what color belt I have around my waist, but if we really didn't care, why don't we just train without belts. Getting the brown belt is an accomplishment, I have been proud of. It is a symbol of the unbelievable amount of hard work, that has been put into learning the art of BJJ, both from myself and my training partners. Also, it became a big motivational factor for me, because it reminded me, that I can one day reach black belt. And for that, I want to become as good as I possible can. I know there is always someone (or a lot!) out there, who are MUCH better than me any day, but what is important to me, is to do my best to preserve the integrity of the belt system. We've all seen the 6-year old Karate black belts and I know how easy black belt is to get in many arts. 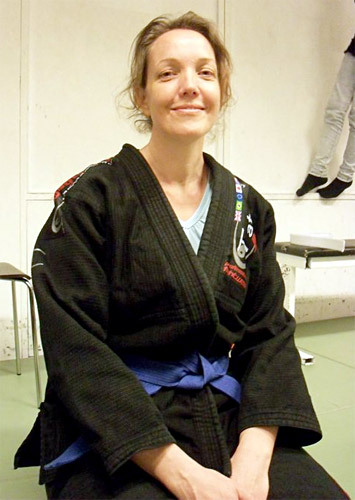 I think that BJJ is one of the few martial arts left, where the belt actually represents a level of real life practical skills, knowledge and experience, and I want to honor that. So getting my brown belt has definitely pushed me to become better at what I do, for myself, the art and for those, who chose me to pass it on to them. Besides the injuries, competing again has been a good and valuable experience for me. I was pretty concerned wether I was capable of even winning a match at all, and wether I could transfer my game in the gym to a competition. Apparently, winning was definitely possible, and I was kind of surprised how well I handled adrenaline and how well my game transfered. I think this comes a lot from my basic lack of interest in winning, which takes away a lot of the pressure from me. More importantly, I have gained a lot of first-hand experience from competition, that I can pass on to my students. Cutting weight, handling the nerves, warmup routines etc. is something I have not had a lot of experience with in my typical role as a sideline coach. However, when all comes to all, the medals are counted, technical and tactical improvements are in the notebook and so on, what matters the most about the competition project is, that I have had some really great experiences, travelling around Europe with my friends, having a good time, laughing, going out, eating good food, strolling around foreign cities and backing each other up in both wins and loses. The memories and experiences you get from the social and adventurous aspect of competitions is worth 1000 times more, than winning any medal. I think some people tend to forget this and focus too much on the result itself. Besides my own competition experiences this season, I have had some great experiences with my kids team, which is still one of my dearest projects. Their results speak for themselves, but what I really value, is having the opportunities to take these kids away from the computers for a few hours a week and teaching them the importance of exercise and living a healthy lifestyle. The training they do now will provide them with the physical foundation they will be needing for the rest of their lives. Ofcourse, they still like to eat candy and they are also starting to get a natural interest in the wonders of alcohol, but I see how they still have that awareness of staying healthy in the back of their minds. If I can help plant that seed in just one young person, let alone 25 or 30 of them, then I think I have really helped to make a difference in their lives in the long term. Anyone taking a look at these kids will see that they are in extremely good shape, already at the age of 14-15 years. Strength wise, they already match or outmatch most grown ups who comes in my intro class, and I think that is a very good thing for them. 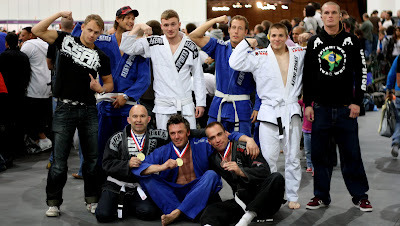 Besides all the focus on competition, there has been a very healthy growth in my BJJ classes in general. Not everyone have interest in competing and that needs to be fully respected as well. 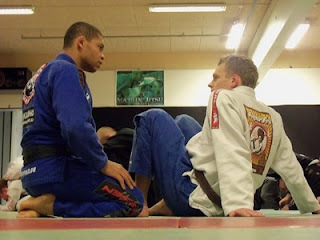 There are many people, who just enjoys learning the art of BJJ and I think that is an equally good and healthy - and for some people, better - way to train. These people have been a great inspiration and help for myself and my training partners, with their nerdy enthusiasm about the technical aspects and details of the sport. Great sparring- and training partners, that I value much to have the opportunities to work with. This year has also been a year of planning. In february, when I visited my girlfriend in Australia, where she was traveling around on her own for eight months, I got the idea of doing a round the world trip to train BJJ. 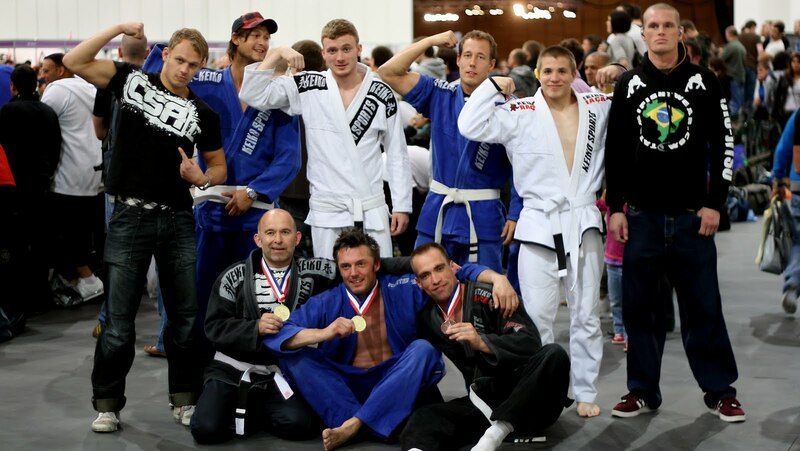 The BJJ community is so strong around the world, so why not use this to visit as many of these great people as possible? I have travelled many times to train, but always just to one or two places at a time. I figured I could do one big trip and visit a lot of places instead, so it ended up with project "BJJ Globetrotter". I have prepared for this trip for over ten months now, doing physical preparations for three months and now there is only 52 days till I leave for the first stop, which will be Montpellier in Southern France. I am very excited about this project, and can't wait till I sit on the first flight. Great post, Christian. I particularly like your comments about the belt system. It seems that in public lots of people downplay belt promotions. They're very cautious when talking about belts. They act like being excited about a belt promotion or using a belt as a goal, etc. shows that they are naive or their priorities are screwed up. Belts are not the end goal, and they come naturally with effort and consistency. We all know that. It goes without saying. But I agree with you; they represent lots of time, dedication, skill, and they merit a degree of respect. If you're running a marathon, passing checkpoints is a great and encouraging thing, and it's the same with belts in jiu-jitsu. They mean something in this martial art, and if it's a blue belt or a black belt, you should be proud of what you have accomplished so far, and use it to motivate you to get even better.